Retail Fraud is one of the most common criminal offenses charged in Michigan. These cases can be charged as felonies or misdemeanors and retail fraud allegations cross all socioeconomic, geographic, political and educational boundaries. Although a charge for Retail Fraud in Michigan can be scary and potentially life altering in a negative way, there are ways these cases can be handled to lessen or eliminate any consequences. What can happen if I’m charged with retail fraud in Michigan? If you are charged with retail fraud in Michigan, it is likely you have many concerns about what can and will happen to you and what a conviction could mean for your future. Most importantly, do not panic. Although a retail fraud charge is very serious, if the case is properly handled, most of these cases can be resolved without jail. An experienced defense lawyer who frequently handles retail fraud in Michigan can help a client avoid a conviction in many cases. There is a vast amount of misinformation on the internet regarding retail fraud, potential consequences and potential legal representation on these charges. Much of the internet’s information about retail fraud in Michigan is inaccurate and misleading. The most accurate information regarding retail fraud charges, defenses and consequences will come from an experienced lawyer. Because a retail fraud conviction can cause loss of employment, inability to obtain employment, denial of a loan or federal benefits, deportation, exclusion from home rental, and more, every available effort must be made to defend these charges. Do not take retail fraud charges lightly because they have long-term, negative consequences. If you are on probation for retail fraud and your probation is violated, you risk a jail or prison sentence up to the maximum possible term. If your conviction was delayed or taken under advisement, you risk the conviction being placed permanently on your record. Even though the stakes are high with a probation violation, a public conviction or jail sentence may be avoidable. Consulting with an experienced defense attorney is your best hope of avoiding or lessening any potential consequences. As mentioned previously, individuals who are not citizens of the United States have to take retail fraud charges very seriously. Under immigration law, a plea of guilty or no contest to retail fraud charges can result in deportation or inadmissibility. A person will be considered to be convicted under immigration law if they plead guilty or no contest to retail fraud regardless of whether they were “convicted” in the criminal court. In other words, an immigration court will find there is a “conviction” even if a charge is dismissed or taken under advisement. Retail fraud in Michigan is considered to be a crime of moral turpitude. How can a good defense lawyer help a client avoid immigration consequences? A good attorney may be able to get a charge dismissed in a way that will not result in a “conviction” for immigration purposes or convince a prosecutor to change a retail fraud charge to a non-deportable offense. In some cases, the lawyer can fight for an acquittal (not guilty) at trial. The team of defense lawyers with LEWIS & DICKSTEIN, P.L.L.C. 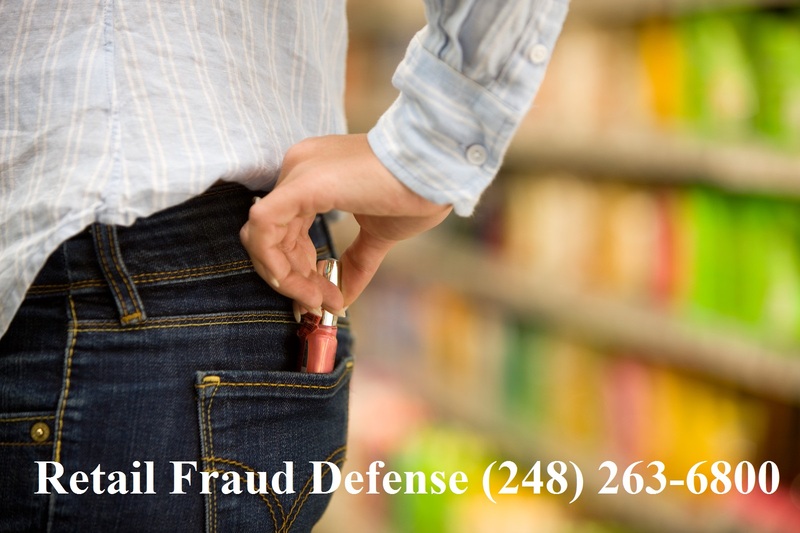 has vast experience defending felony and misdemeanor retail fraud in Michigan. We know and have used every available defense for clients and we have a well-known track record of success. If you or someone you love is charged or accused of retail fraud, do not hesitate to contact LEWIS & DICKSTEIN, P.L.L.C. for the best defense. We are happy to provide a free consultation and confidential case evaluation. Call us at (248) 263-6800 or complete a Request for Assistance Form and we will promptly contact you.